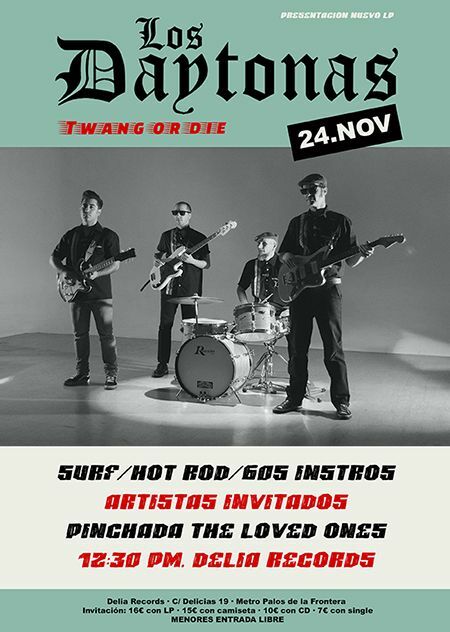 2018-11-24Matinal BodegaClub /// LOS DAYTONAS Presentación "Twang Or Dïe"
Los Daytonas are a genuine instrumental surf band from Madrid (Spain) established in 1997. Their new LP “Twang Or Die” includes 8 original tunes plus 3 covers on a 180gr. black vinyl.